Ube/Purple Yam are very healthy sweet potatoes, rich in antioxidants. They have a rich colored purple flesh which I used in the past to make this lilac colored Ube Buttercream Frosting for Ube Banana Quinoa Muffins. Used often in Filipino cuisine, you can also try this traditional Filipino dessert, Halayang Ube. If you live near a large Chinatown like the one here in NYC, you should be able to find it if not fresh, at least frozen. I’m lucky enough to find a few markets in my city that sell the fresh ube. When thinking of foods that begin with letter U for this month’s Alphabet theme, ube immediately came to mind. I went on a search for more Filipino specialties utilizing this colorful yam. 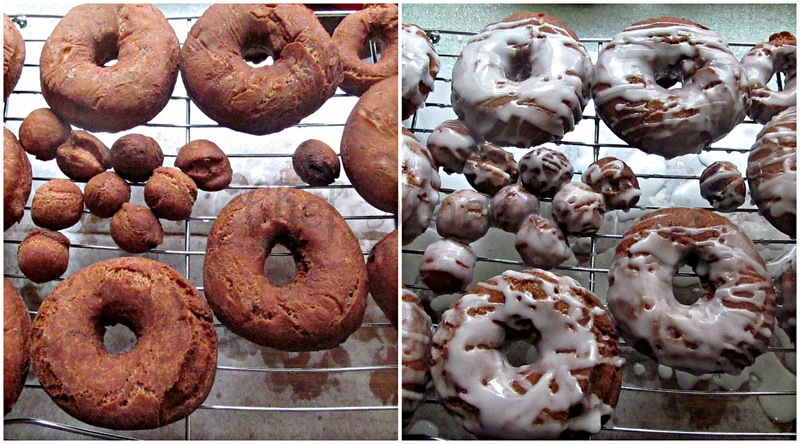 Although not traditional, these doughnuts were an awesome use of the sweet potato. In a large bowl, combine flour, sugar, baking powder, salt and sugar. In a small bowl, whisk eggs, coconut milk and butter until thoroughly combined. Make a well in the middle of the flour. Pour in the wet ingredients in the middle and slowly start to incorporate the flour. When it is halfway mixed, add the yam and mix until you have a smooth homogenous dough. The dough will be very soft. Leave to rest for 10 minutes. Meanwhile, make the glaze. Sift the powdered sugar. 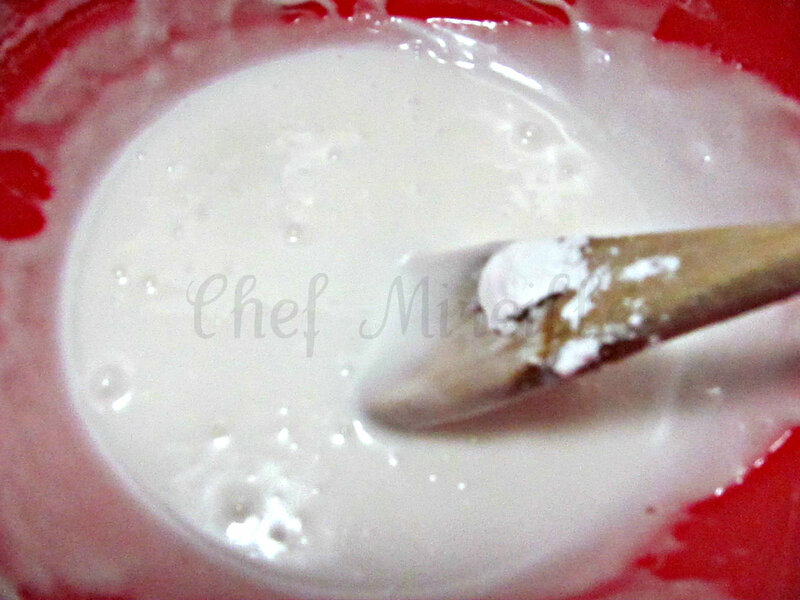 Add coconut milk and mix until smooth and thoroughly combined. On a well floured board, place the dough. Sprinkle more flour on top of the soft dough. Knead for 1-2 minutes and then pat into a 12″ diameter circle. Using a 3″ cutter for the doughnuts and 1″ cutter for the holes, cut out donuts and place on parchment paper. Roll the leftover dough into a circle again and continue to cut out doughnuts until all the dough is used up. Place a wire rack over a piece of parchment paper. Place in hot oil. 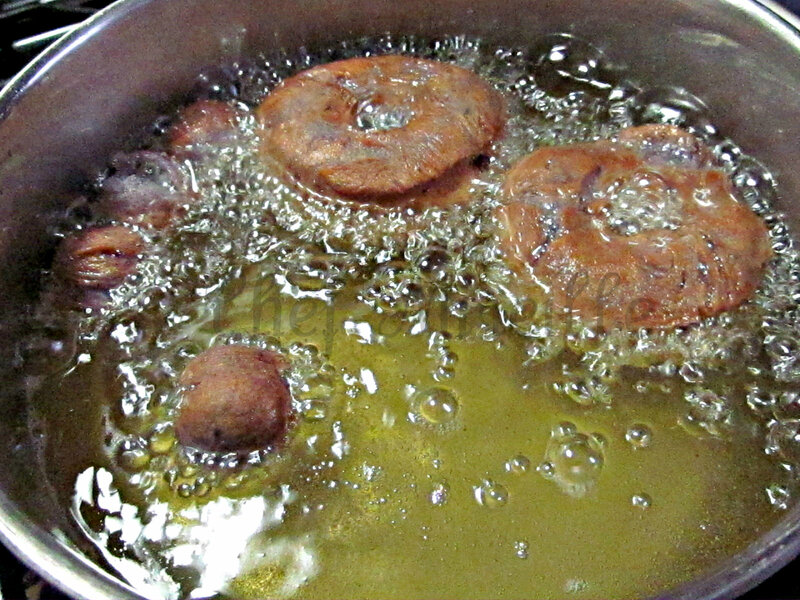 When the donuts rise to the surface and are golden brown, flip over and cook for another few minutes until both sides are browned. Place on the wire rack. Once the oil has drained off, pour the glaze on top and let sit until glaze hardens. I really liked these doughnuts as they were not overly sweet. Using baking powder instead of yeast, these can be done in a jiffy. 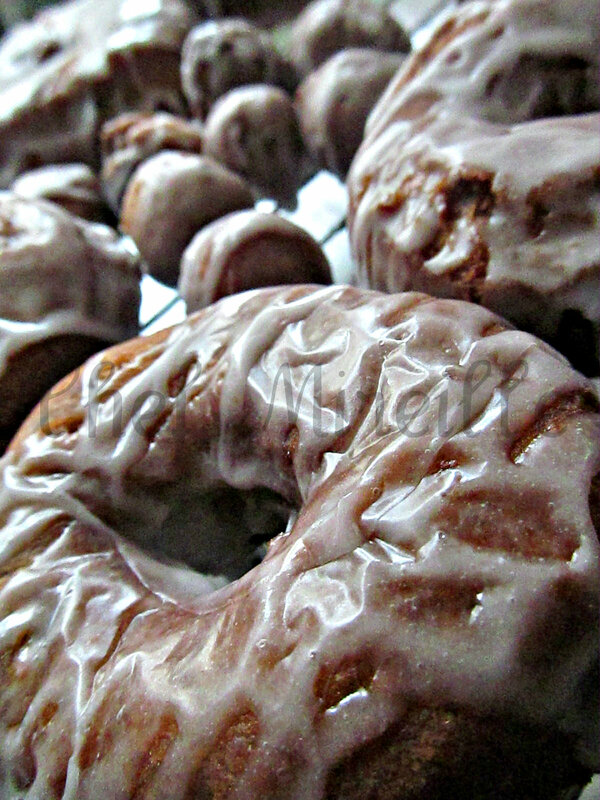 You can be sitting down enjoying these donuts with a cup of coffee or tea in less than an hour. If you cannot locate purple yam, I suppose you can use regular orange fleshed sweet potatoes. Doughnuts with yum , that's an innovation . So good to learn these recipes from you. Omg, look at the colour of doughnuts, just asking me to grab one and have it rite now, purple yam gives a wonderful colour to the doughnuts..Interesting.. Wow the colour is awesome..very nice one Mir.. 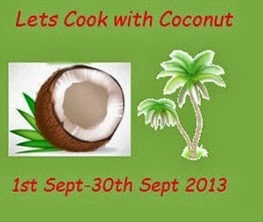 These look amazing love the colour.Thanks for linking them to Lets cook with coconut event. Dying for that purple colour. .the glaze looks gorgeous and artistic. And of course once again something that I am hear for the first time. I also came across this recipe when looking for 'U' recipes..Impressive Mir! I remember seeing Ube in one of your earlier posts…You introduce a whole lot of new recipes for me 🙂 The doughnuts look real yum! Mir, you are so lucky to be living in NYC where you can find all kinds of exotic ingredients. 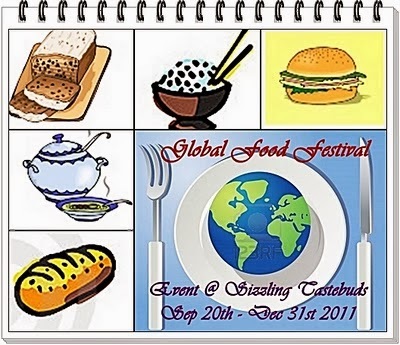 Thanks to you, all of us are getting to know about so many dishes from various cuisines. 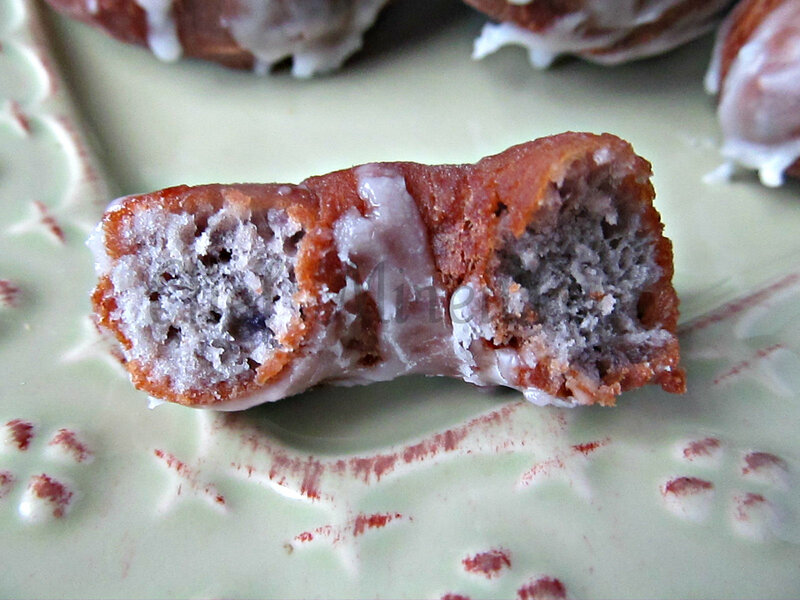 Ube doughnuts with that yummy coconut glaze look tooooooo good. Nice color and looks very appealing..
Lovely colour and delicious doughnuts. 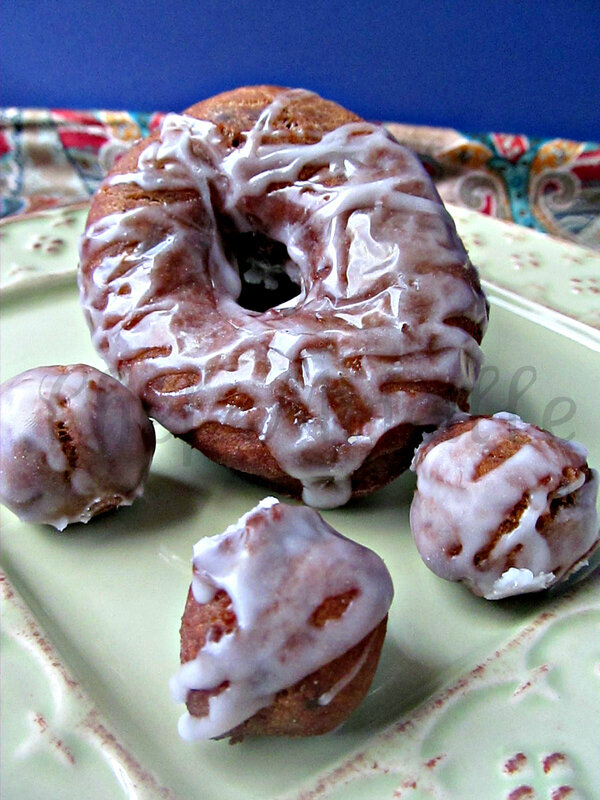 Doughnuts are a new addition to my kitchen wish I can get ube I will love to make these. Delicious doughnuts Mireille!!! Have never seen a purple yam and now I will be on the lookout! Here in the US it’s really hard to find the actual yam but if you have an Asian market near you especially one that carries Southeast Asian products you should be able to find it in the frozen section. It’s also available for purchase online – the frozen.